Nurses promote safe, caring and healing environments that influence the health and wellness of individuals, families and communities. The American healthcare industry is expanding at a rapid pace, creating an immediate need for medical professionals. Nurses are currently in high demand for many reasons, including the development of new technology, an aging population, and current nurses retiring. Job outlook for nurses is forecasted to be excellent, with faster growth than the average for all occupations. Pre-Nursing to Bachelor of Science in Nursing (BSN), offered through the Department of Population Health. Typically, out of 300 applicants per cycle, 80 - 90 applicants are accepted with the majority coming from SHSU. Licensed Vocational Nurse (LVN) to Bachelor of Science in Nursing (BSN), applicants must have a LVN license to begin courses at SHSU. Registered Nurse (RN) to Bachelor of Science in Nursing (BSN), applicants must have a RN license or be enrolled in an associate degree program and become a licensed RN before the end of the program. Students take a series of prerequisite courses in order to meet admission criteria. The pre-nursing program at SHSU consists of anatomy, physiology, microbiology, chemistry, developmental psychology, statistics, nutrition and psychology plus Texas Core. 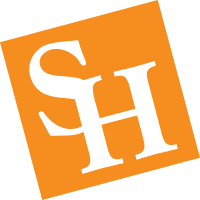 To be considered as a SHSU School of Nursing candidate, students are required to undergo background checks, immunizations and have a minimum 3.0 grade point average in degree required coursework and a 70 minimum TEAS score. RN to BSN students need a 2.5 grade point average in degree required coursework and do not take the TEAS.